Chile is Mexican, scientific name capsicum. Pepper is Indian (India), scientific name piper. When our European ancestors, searching for India, landed instead in the Americas and found chiles, they used the “spicy” default name with which they were familiar, “pepper.” They also called the South American natives “Indians,” but that’s another story. 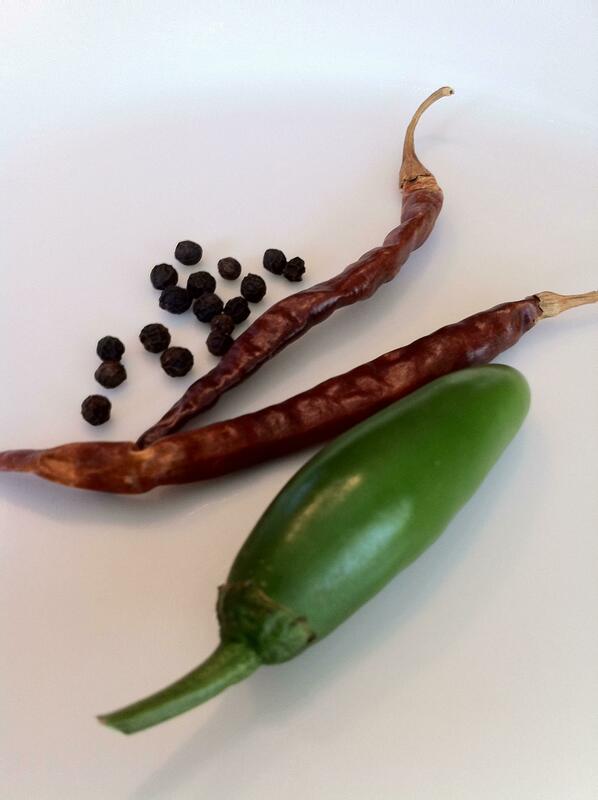 Both Chile and Pepper are used in Carne Guisada, ground in a Molcajete together with garlic and cumin. (hmmm I’m already at the Yum!!! stage!! ) 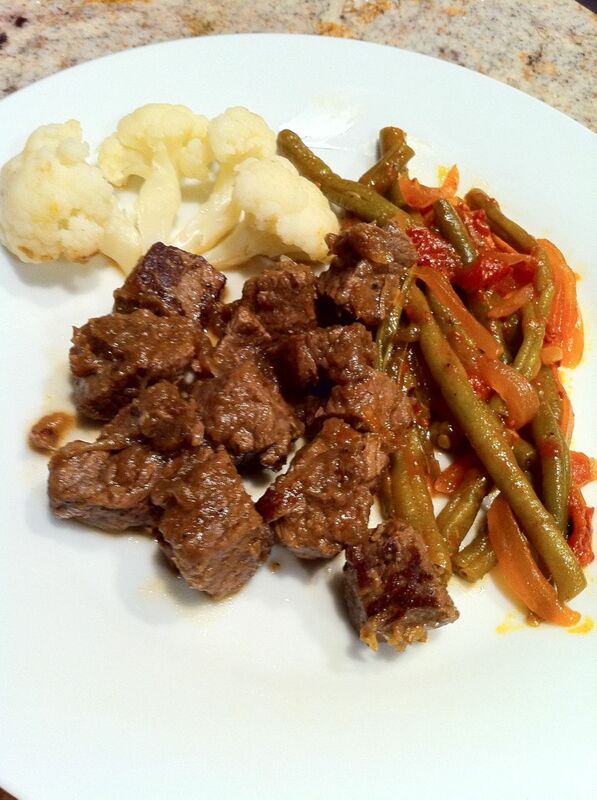 This Texas Mexican, TexMex, stewed beef dish is aromatic and its flavor profile is wonderfully contrasted. The flavor profile of a dish consists of the identifiable taste, odor, chemical feeling (hot capsicum) and aftertaste. In my opinion, achieving the correct flavor profile of Carne Guisada depends entirely on what you grind in your Molcajete. The following recipe is my family’s variation and of course I love it, but you can refine it according to your taste. 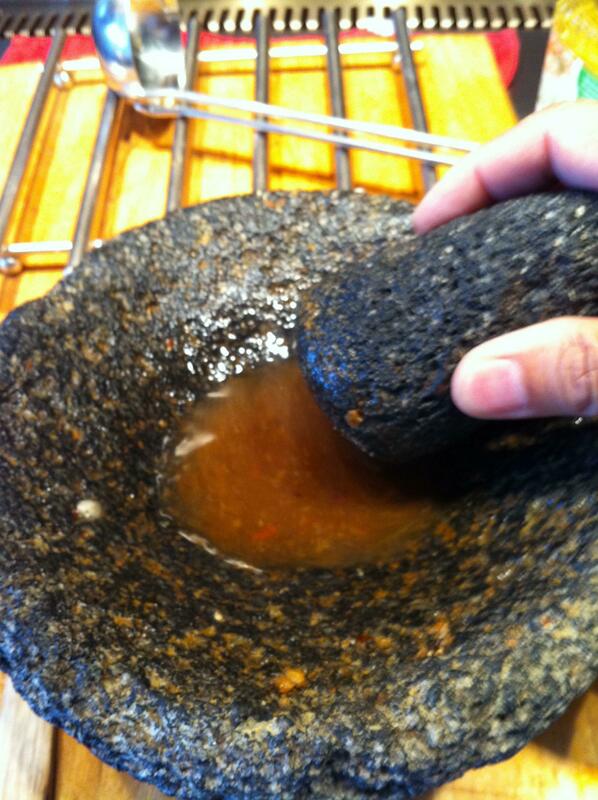 Just remember that the focus should be on your Molcajete: the mixture of ingredients to include cumin, garlic and BOTH pepper and chiles. 2. In a dutch oven or deep skillet, heat 1 Tbsp Canola oil and cook the onions until they are soft. 3. Add the cubed mean and brown it. 4 While the meat is browning, grind the chiles, pepper, garlic, cumin and salt in a molcajete to achieve a very fine paste. 5. Add the rest of the water to the meat and deglaze. The water should just cover the meat, so adjust accordingly. 6. Simmer at slightly below a full boil, about 200oF, covered, for about 45 minutes. At this low heat the beef collagen changes into gelatin and renders the beef both soft and flavorful. If the heat is too high, the beef will be tough. Remove the cover during the last fifteen minutes to allow the sauce to thicken. I served it with green beans baked slowly in an Achiote, orange and jalapeño sauce. Here it is. Let me know how this recipe turns out for you. ¡Buen Provecho! NOTE: I updated the method of this recipe on June 24, 2012, making it more simple (I hope :). Pepper and chile added extra ordinary taste in Carne Guisada. I can image by this picture that how much tasty and spicy this recipe will be. I agree that it is unique to us. I compare it to stove-top braising. But a good guisado is truly ours, and I love it always. Whatever the variation, Carne Guisada is always to die for! My mother, grandmother, aunts and uncles all fixed carne guisada their own way and it was all good. The amazing thing to me is that “guisar” seems to be exclusively Tex-Mex, unlike frying, boiling, roasting, etc. I know there’s sauteeing and simmering, but if there’s something comparable to guisar, I don’t know what it is. Any ideas?